The Shaloh Hebrew School offers an outstanding program that will give your child a solid foundation in the fundamentals of Judaism, and will instill in your child the pride, beauty and values of our heritage. We believe that it is important that every child has a strong foundation in Jewish knowledge; that he/she has a sense of love and pride for Judaism, and that he/she is able to strongly identify him/herself with Judaism. At Shaloh House we put strong emphasis on hands-on experience, combining it with fun and competition, so that children can appreciate the richness of our tradition. We strive to give individual attention to each child; to allow each child to advance and follow the class at his or her own pace, while he/she is beginning to read and understand a new language. Our goal is that each child should go through his/her Bar/Bat-Mitzvah and beyond, knowing who he/she is, what he/she represents, and realizing that there is always more to learn and achieve. 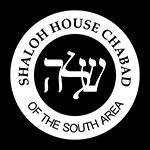 Classes are held on Sunday morning’s 9:30 AM to 12:00 PM, except on Jewish and secular holidays. We plan special programs during the year, such as Shabbat experiences, Shofar Factory, Chanukah Program, Purim play, Passover Matzoh Baking, Model Seder, and more, we also feature ongoing activities throughout the year, such as Jewish Jeopardy, Kosher label contest, Brochot bee, Friday night children services and more. These programs are important, to develop and maintain strong participation and enthusiasm in our students. Our tuition is very reasonable. The full tuition is $800.00, of which $50.00 is payable upon registration and the remaining tuition can be paid in four convenient installments.